We offer Ship Sticks! 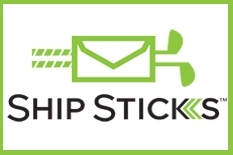 Make your golf travel simpler, and more affordable by using Ship Sticks. Valid through May 26, 2019. Full Golf Members in good standing of other Honours Golf and Troon Golf facilities may book tee times at Peninsula Golf Club through using the Troon Advantage Program. Please click here to learn more. Need Help Booking Online? Click Here! Why Book Online? Click here to find out.